LOOK: These Celebrities Turned Their Luxurious Van into Their 2nd Home, They Are So Rich! These celebrities are so rich that turned their Luxurious cars in their 2nd home. Just like a car hotel. Being a celebrity is so taxing and so busy that you barely really see the comforts of your own home. Because of the busy schedule and piled-up showbiz commitments, many celebrities are always on the go and always have to be out and travelling. So how do showbiz personalities get a breather on this stressful life? Instead of checking-in on hotels, celebrities have developed their tour vans into classy, hotel-like haven! Among the most popular stars in the showbiz right now, Liza Soberano probably is the brightest shining star right now in the Philippines. And because the “Dolce Amore” star is in constant demand into starring roles, taping, and filming various work commitments. 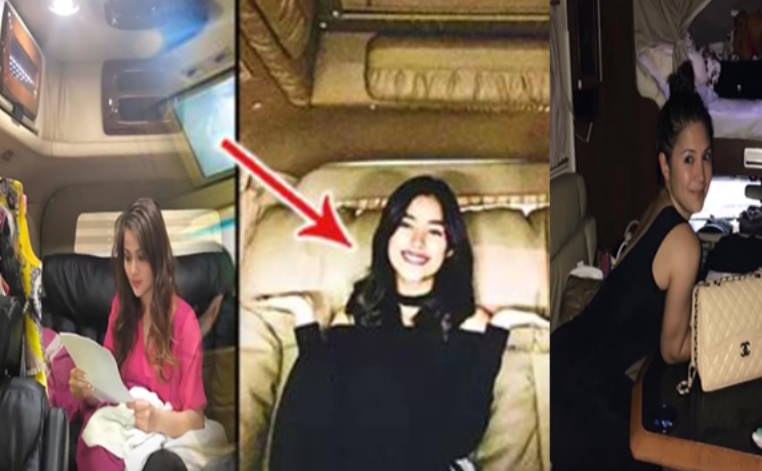 So the young star decides to make her own personal tour van, her Starex, into a cozy, safe house where she gets to take a rest during travels on and off to work that looked like a small hotel-like room..
Not only does Liza got to invest in these kind of needs as a celebrity, but others like Karla Estrada, Diane Medina, Gretchen Barretto, Vina Morales, and Kris Aquino. Celebrities invested their time and extra money on personalizing their vans that would suit their needs and comforts while on the road. Karla Estrada had a bed inside her Toyota Grandia. The news anchor as well, Diane Medina, personalized her bus interior by adding LED lights inside her own place and even added blinds on the wall for that “feels-like-home” vibe”. The ever-classy Gretchen Barretto’s “bus for working days” had a certainly admirable interior that has a likeness into “Etihad’s First Class Cabin” with her own toilet and spacious shower area. Gretchen’s coaster was featured in the 2009 issue of YES! Magazine in a column made by Kris Aquino. With that being said, the “Queen of Talk”, Kris, didn’t let her coaster be left out by buying a new one in the color of bright pink painted with Paul Smith stripes. Her first pink coaster was given to Pokwang by Kris herself.